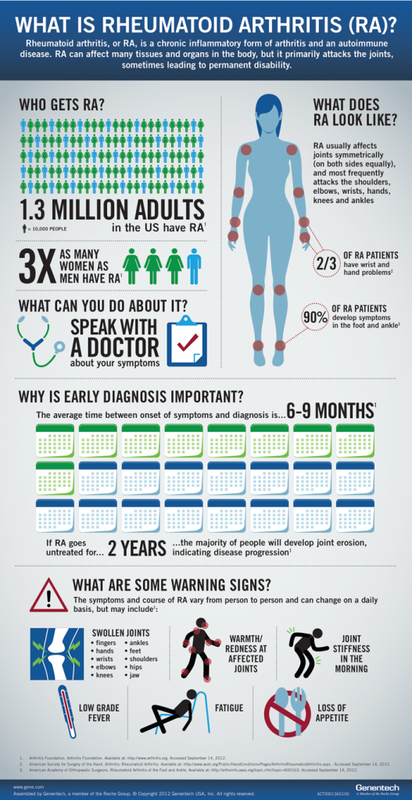 Below is an infographic touching on some of the important facts about Rheumatoid Arthritis (RA). Rheumatoid arthritis is a chronic inflammatory form of arthritis and an autoimmune disease. You can read more about this common condition in our Rheumatoid Arthritis Overview. Thanks to Genentech for developing this infographic.